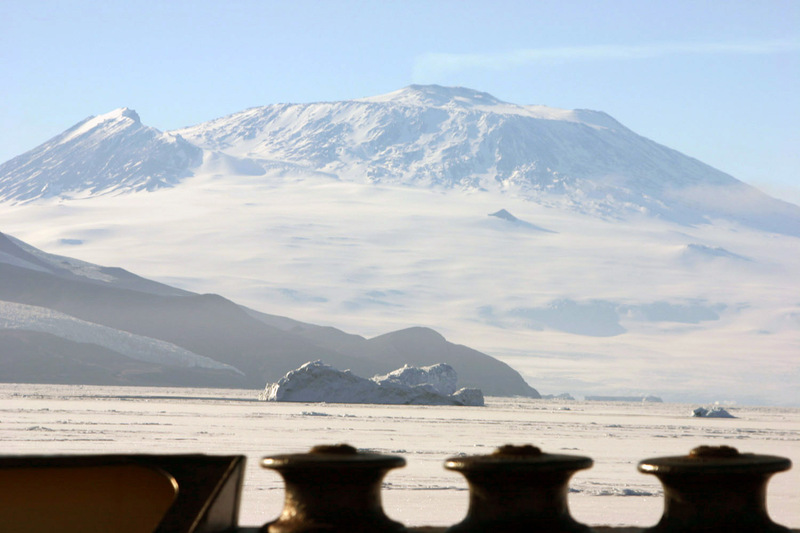 Mount Erebus is the most southerly active volcano in the world. It is 3,794 metres (12,448 ft) high and situated on Ross Island, which also has three inactive volcanoes. 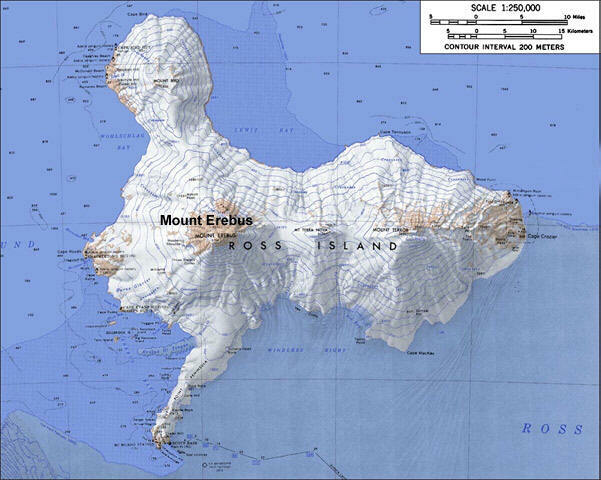 Mount Erebus was named by James Clark Ross in 1841 after one of his ships, the second highest but extinct volcano on Ross Island was named Terror after the other ship on his expedition (the other two inactive volcanoes on Ross Island are Mount Terra Nova and Mount Bird). Mount Erebus is notable for being one of the very few active volcanoes on earth that has a permanent lava lake in the winter in the right conditions it is possible to see the glow from the lava lake against the sky. Mount Erebus is part of the Pacific Ring of Fire, which includes over 160 active volcanoes.